I was skeptical about buying flowers online so I did some research. I looked at a few different sites and they all had good reviews but none of them had the right color flowers. Finally I found wholeblooms.com and they had the exact color flower I was looking for. I called and spoke with them about ordering timelines and how to purchase online. They were so helpful. The flowers came one day early which was a little bit of a surprise and thankfully I was home to sign for them otherwise that might have been bad. 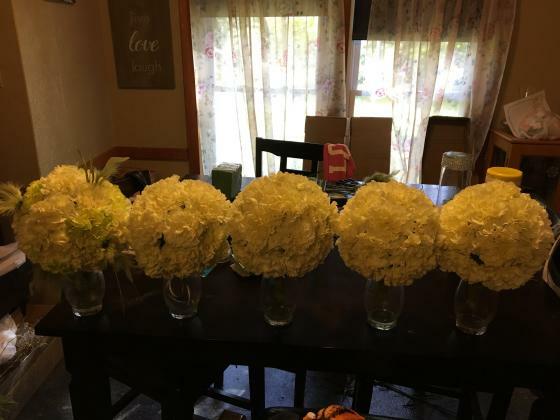 I orders 400 flowers and there was only one flower with a dark spot so I couldn't use it but the rest were beautiful. I made all the arrangements and the day of the wedding the flowers were still beautiful and none of them wilted. I am extremely happy with my experience ordering from whole bloom.com and will definitely be ordering from them again in the future.